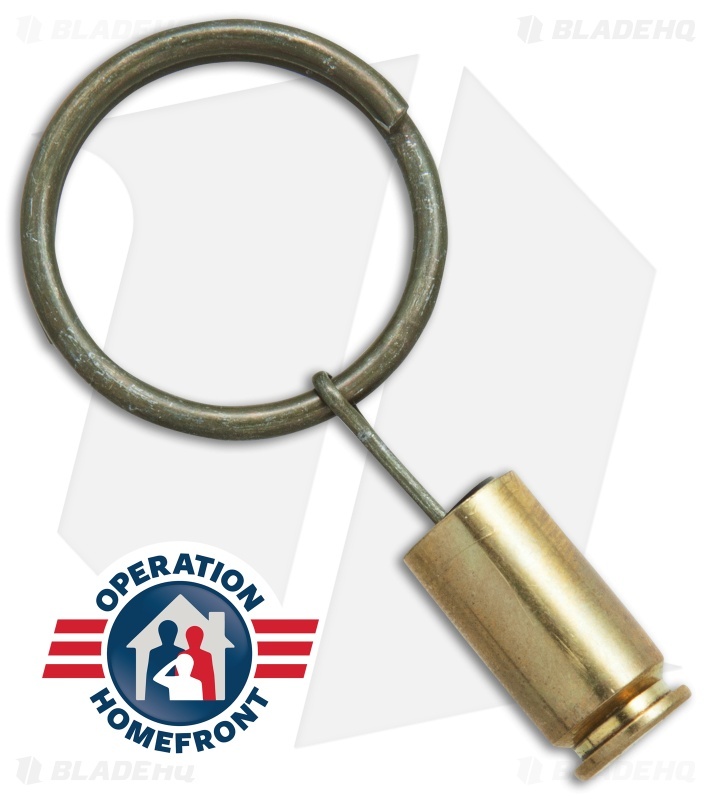 This Brass Bullet Grenade Pin Key Ring from Hollow-Point Gear is made from a spent .40 caliber shell casing and a once-used grenade pin. 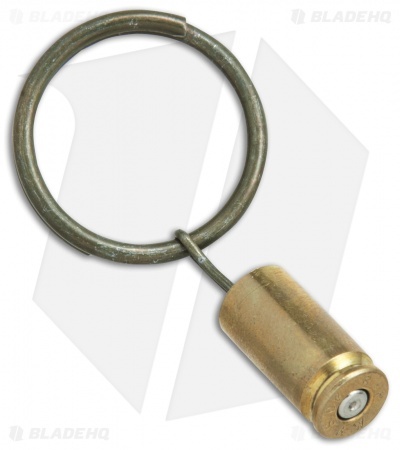 Add a tactical edge to your key chain with the Brass Bullet Grenade Pin Key Ring. Hollow Point Gear recognizes the hollow point bullet as the uncontested champion in the ballistics world and has created a line of tactical accessories inspired by the power and momentum of this unparalleled ammo. 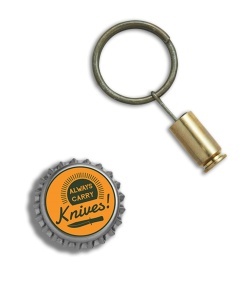 Key ring is crafted from an actual once-used grenade pin. 1.25" diameter key ring has the capacity for a large variety of keys. Includes a once fired .40 caliber bullet casings fired in law enforcement training.